You will receive your keys & download link within 12 hours (usually under 1 hour) via the message system. Each license key is only for ONE computer and can be reused on the SAME PC. Keys can be used globally on any Windows 10 Pro language version. 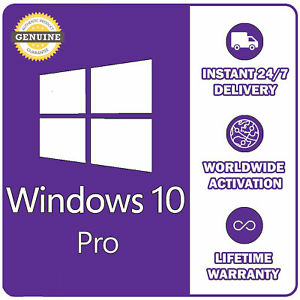 This is an activation key which means you can do a fresh Window 10 Pro installation or you can upgrade from other Windows versions easily.